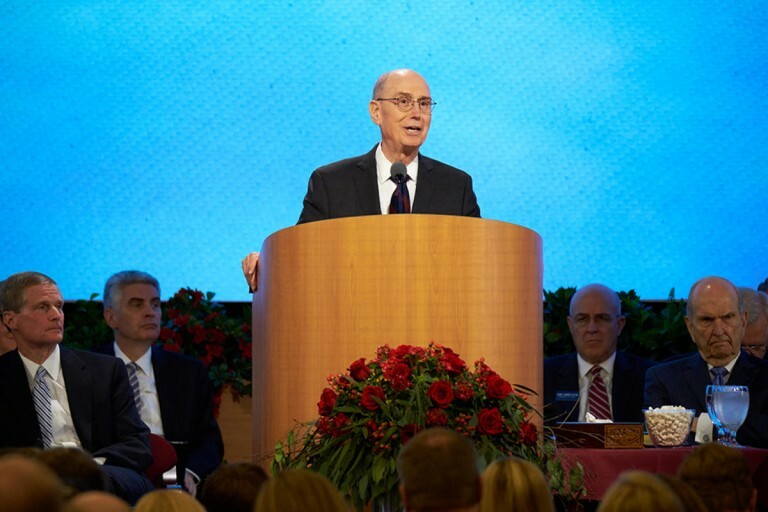 It is a mission president’s responsibility to see that every missionary who serves under his direction grows in spirituality and capacity to invite people to repent and to come unto Jesus Christ with faith in Him and take His name upon them, said President Henry B. Eyring on June 25. He promised the new mission leaders that during their service as mission presidents and as missionary companions, their call to bring others to Him will be magnified. “The Lord and the missionaries’ families have trusted you to help them find, teach and bring others to the gospel and also to help those missionaries become deeply converted and enduring members of the Lord’s true Church,” he said. All of that “changing and converting” must be done while resisting “the fierce opposition of Lucifer,” who knows the purpose of their call and the call of their missionaries, and opposes that sacred work.